If you’re wondering what to do in Barcelona when traveling alone I’ve got you covered. Check out the highlights of my 9 days of solo trip. 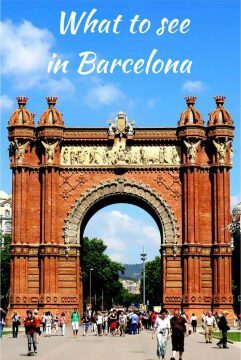 Find out what makes Barcelona such an extraordinary city with this guide for exploring the city on your own. Plus you will discover Barcelona solo travel is no problem at all. People are friendly, tapas bars make it easy to dine alone without feeling awkward, and it’s so easy to get around the city. I prefer to walk a lot but I also like to use public transportation like metro or buses. It can be so confusing trying to find your way in a new city. 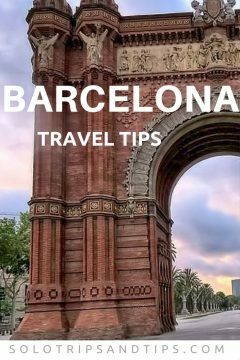 So I put together a guide for getting around Barcelona including getting to/from the airport on the cheap. Is it safe to travel to Barcelona alone? If you are considering solo travel to Spain I highly recommend at least a few days in beautiful Barcelona. In case you are wondering if it’s safe for solo female travelers, I felt at ease traveling around alone, even while walking or taking the metro at night. Las Ramblas is an area that I mostly avoided, visiting the area only once during daytime. Las Ramblas is highly touristic and therefore it is a magnet for pickpockets. Always be aware of your surroundings and if your gut tells you to leave then listen to your gut instinct. There is no single best area to stay in Barcelona, there are several neighborhoods that are great for tourists. I prefer to be near many of the top attractions while also staying in an area where locals live. For this reason I chose to stay in La Ribera in the quarter of Sant Pere, adjacent to Gothic quarter, El Born, and walking distance to Eixample, where you will find Casa Mila and Casa Battlo. I prefer to walk a lot when I travel and Barcelona is definitely a city to enjoy on foot. Airbnb is a great option for finding a place to stay with locals. 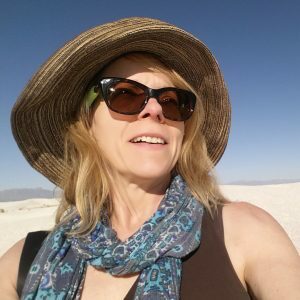 Visiting the first time around I stayed with a family and it was the perfect option for me as solo female traveler. Grab a handy map of Barcelona to help you find your way around by yourself. Save it on Pinterest now! An abundance of cafes and tapas bars make Barcelona a welcoming place for anyone dining alone. Even if you only have a few days to explore the city you can accomplish a lot. 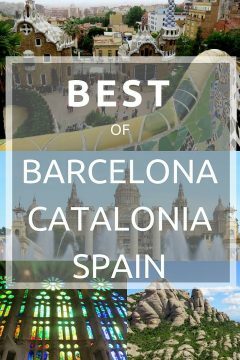 Review these highlights from my trips and pick out some favorites for your own solo travel itinerary to Barcelona. Do yourself a favor and buy some comfortable walking shoes before your trip. Go on several walks prior to your trip in order to break in your new shoes so you don’t suffer while on vacation! While I’m not sure what took me so long to set foot in Spain, I can tell you my future travel plans include exploring more of Spain. The combination of outstanding architecture, rich history, delicious food, amazing art and culture, and the people are so welcoming and kind, create an unforgettable Barcelona travel experience. Everyone was so patient whilst I attempted to converse in the Spanish language and find my way around the city. You should not be afraid to travel alone to Barcelona even if you do not speak fluent Spanish! A handy Spanish language phrasebook is a good idea. Catalan and Spanish are the two official languages. Barcelona is the capital and the largest city in the Catalonia region of Spain. Tapas bars are great for solo travelers. Read about my experience eating tapas at Sagardi Euskal Taberna in El Born district. I do love to eat my way through a city and Barcelona is a great place to try out some of the Catalonia foods as well as other foods that have made their way to the region such as the pintxos tapas from Basque country. I loved the tapas in Barcelona! The tapas bars make it easy for solo travelers to feel comfortable eating alone because there is usually seating at the bar or counter. Dining alone I find that a places with single seating at a bar are often the best option for me. Also read my article about dining alone to get some tips about feeling okay about sitting by yourself dining out. 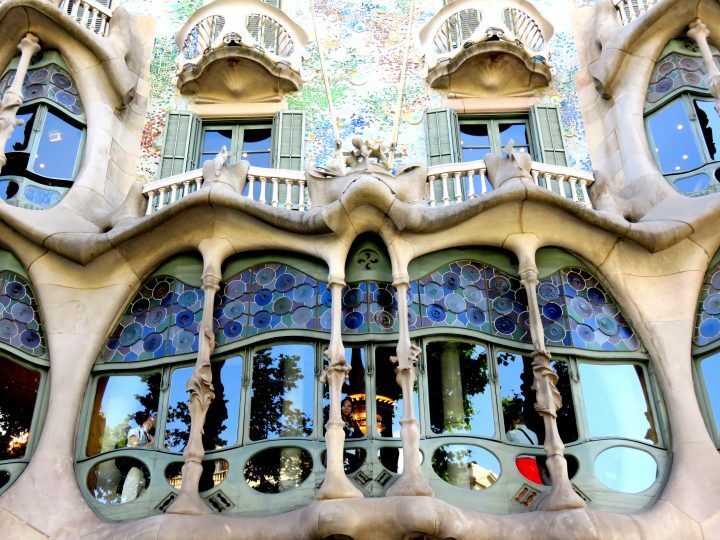 Read all about my visit to Gaudi’s Casa Batllo, it’s my favorite of Gaudi’s work in Barcelona. 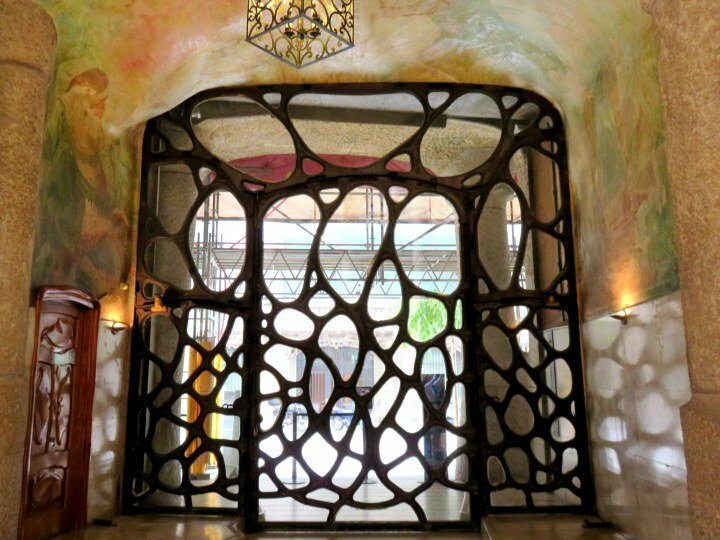 I loved the design features inspired by nature – Casa Batllo is full of curves and color! I found Casa Batllo quite by accident while walking around by myself. It is fun exploring on your own so don’t be hesitant about traveling by yourself. With many tourist attractions in the central neighborhoods of Gracia, El Born, and Barri Gotic (Gothic Quarter) you will have plenty to keep you occupied. Another beautiful work of architecture is the Palau de la Musica concert hall. Built between 1905 and 1908 this Art Nouveau style building was created by modernist architect Lluís Domènech i Montaner. I attended a guided tour of the concert hall one afternoon and returned in the evening for a Flamenco concert at this incredible venue – check their website for events and ticket info in advance of your travels. 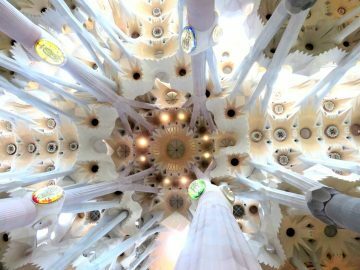 Gaudi’s Sagrada Familia – his most famous work – why didn’t I love it? Sagrada Familia is the most popular tourist site in all of Barcelona. Plan ahead when visiting Sagrada Familia. To avoid waiting in long lines to buy your tickets to Sagrada Familia it is advisable to purchase your ticket online at the official Sagrada Familia website. There is no processing fee or commission charged on the Sagrada Familia site. Ticket purchases help fund the ongoing work at the church. Antoni Gaudi worked on Sagrada Familia for 43 years, from 1883 until his untimely death in 1926. Gaudi was buried in the chapel of Our Lady of Mount Carmel in the crypt of the Sagrada Familia. I enjoyed my day trip to Montserrat so much I returned again to hike to Sant Jeroni summit and I highly recommend this hike for the spectacular views of Catalonia. I often plan my solo travel with hiking in mind. 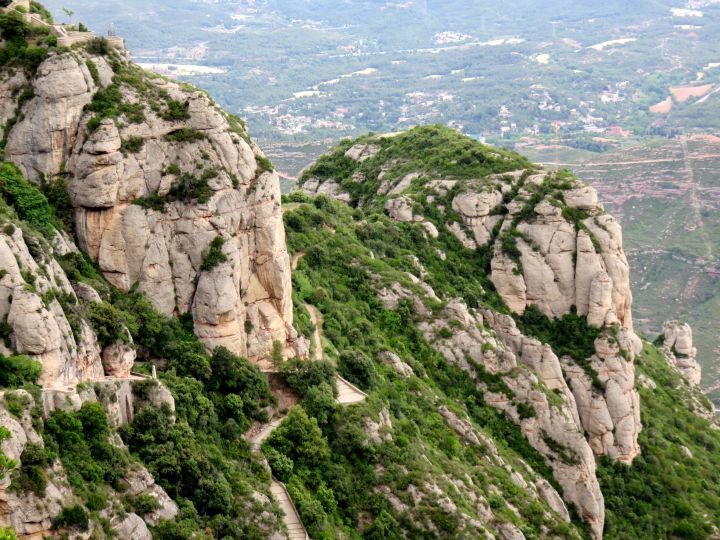 Montserrat is an easy day trip from Barcelona. I went alone to Montserrat but it is a popular hiking location so I met lots of other travelers. Be kind to your feet and buy some comfortable hiking shoes for Montserrat. Before leaving on your trip to Montserrat be sure to break in your hiking boots. TIP: To protect your feet from blisters place cotton balls between your toes to stop blistering between the toes. Place moleskin where you foot may rub and create a blister, such as on the heel or bottom of your foot. Gaudi’s Park Guell is amazing. For anyone who loves to Instagram their travels this place is for you. I spent 5 hours wandering around this beautiful place. 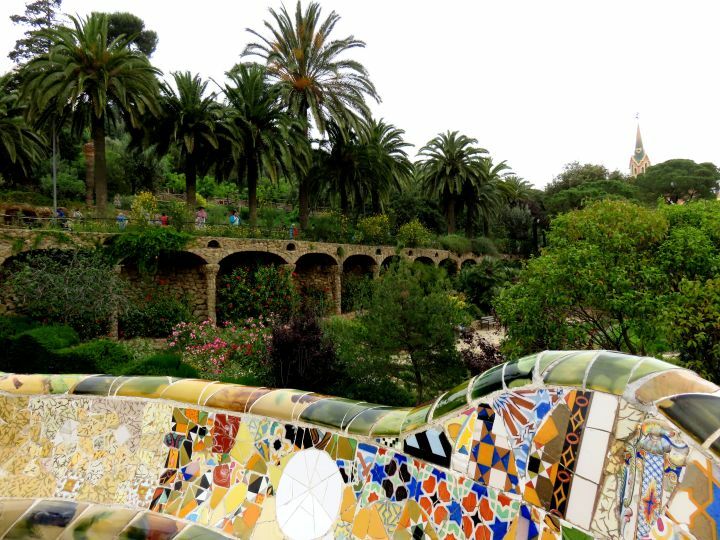 I loved the trencadis serpentine mosaic bench on the magnificent terrace at Park Guell. You may purchase tickets to Park Guell up to 3 months in advance of your visit. Your ticket will be for a specific time and you will only be allowed entry within 30 minutes of the time indicated on the ticket. It is recommended that you purchase your tickets for Park Guell online. Prices are a little cheaper if you buy online. If you are not sure what time you want to visit Park Guell then you may purchase at the ticket office. Do try to get to Park Guell early if you are purchasing your ticket onsite. General admission ticket is 7.50 euros when purchased online and 8.50 euros at the ticket office. There is a maximum of 400 visitors per half hour allowed into Park Guell. Children up to 6 years are admitted for free. Admittance fee for children aged 7 – 12 is 5.25 euro when purchased online and 6.00 euros at the ticket office. Adults over 65 and persons accompanying a disabled person are also charged the reduced rate of 5.25 euros online or 6.00 euros at the ticket office. Disabled persons are admitted free of charge to Park Guell. 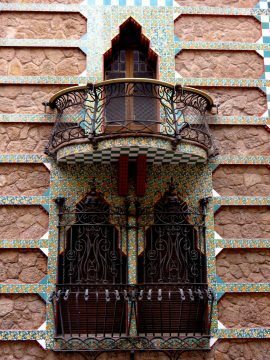 Casa Vicens was constructed between 1883 and 1885. It was a summer house for the Vicens family. Casa Vicens was the first major commission that architect Antoni Gaudi received. 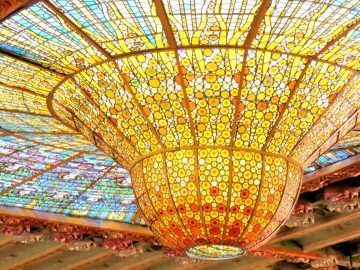 Gaudi’s Casa Vicens to the public and allow everyone to explore this fantastic architectural work by Antoni Gaudi. Now the house is open to the general public. This means I have a great excuse for another trip to Barcelona. Casa Vicens is 100% wheelchair accessible. Check the Casa Vicens website for ticket prices and to purchase tickets online. The Hofmann Cafe opened at Casa Vicens in March 2018. 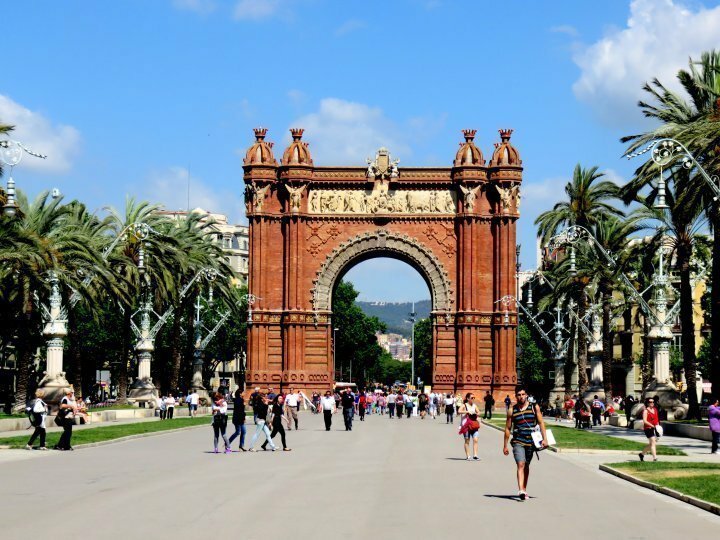 Arc de Triomf is a favorite piece of Barcelona architecture. It was built as the passageway to the 1888 World’s Fair – that must have been an amazing event! A short stroll down Passeig de Lluis Companys leads to the fabulous Parc de la Ciutadella where you can take a walk, enjoy a picnic, do some people watching, take in a street performance, or just stare at the sky and daydream. 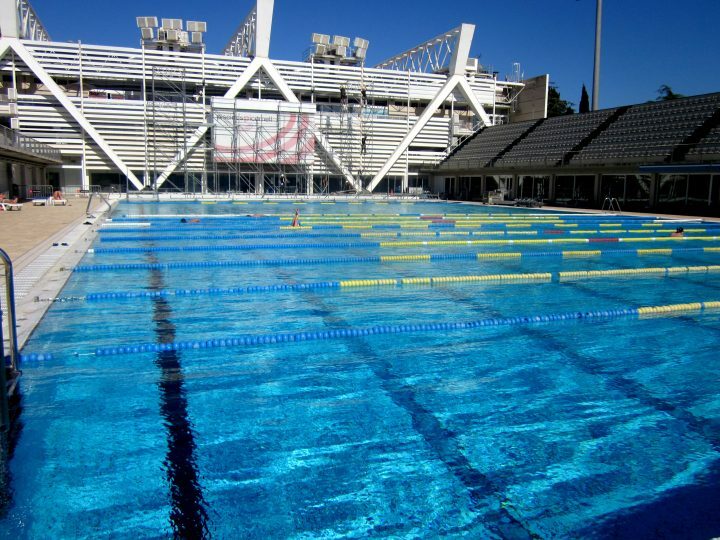 I swam in both the indoor and outdoor swimming pools – the outdoor pool has shorter lanes and it was a little chilly when I swam – the perfect way to shake off that sangria hangover! The indoor pool is fantastic – I think there were 19 lanes in total. The lanes are wide, so there is plenty of room to share a lane when it is busy. The price was quite expensive – around 12 Euros – but you can stay all day if you like. You can enjoy a lunch at the cafe, have a siesta on the deck, then go for a swim and you are set! 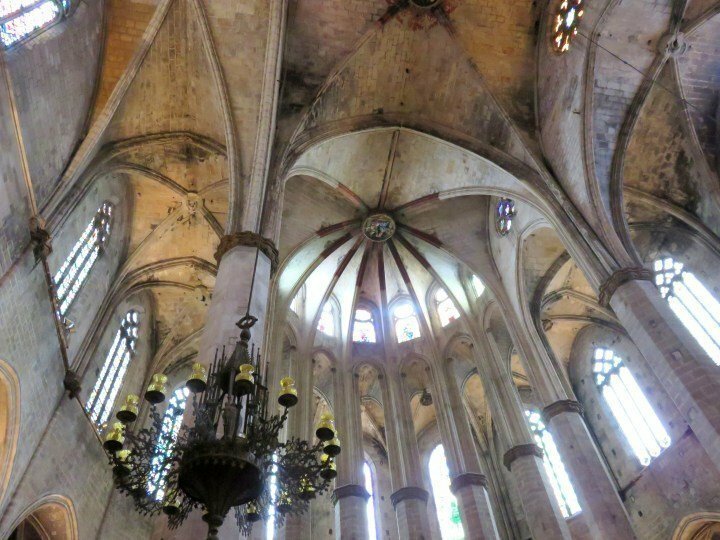 Also be sure to visit Basilica Santa Maria del Mar for FREE! This is the church I recommend visiting instead of Sagrada Familia (I can hear people shouting ARE YOU CRAZY! 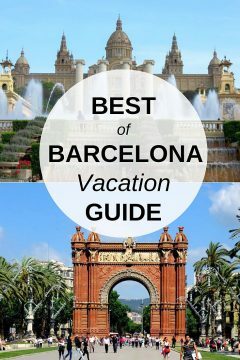 as they read this) – really, if you only have a couple of days in Barcelona you will see a lot more of the city if you stick with La Ribera, El Born, and Barri Gotic neighborhoods. These three outstanding neighborhoods are all walking distance of each other and they are part of the old city. I felt safe walking around these neighborhoods all by myself. If you are visiting for a week or so then you have time to visit both Sagrada Familia and Basilica Santa Maria del Mar. Let me know which you prefer! Another suggestion for you – why not enjoy a concert at a centuries-old church – Guitar concert at Santa Anna church – I love attending concerts at smaller venues. The old churches were built with acoustics in mind – you will love it! 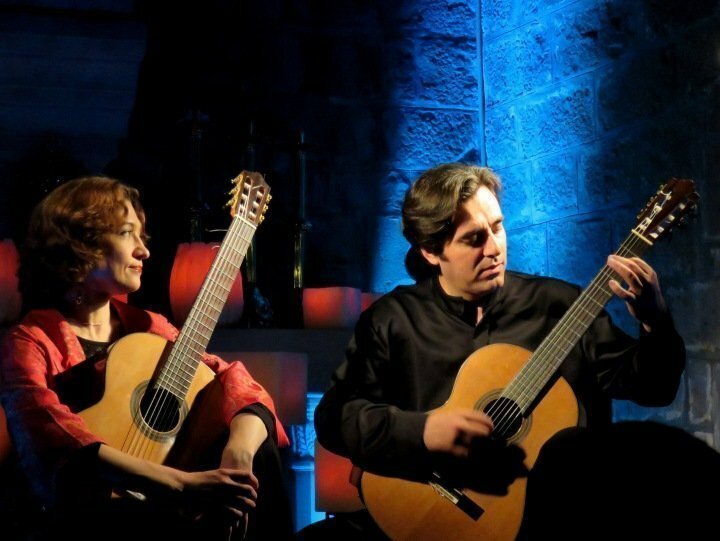 Walking around and exploring the Gothic Quarter on foot is how I found out about the guitar concert. Tip: While you are walking around, watch for posters advertising events at smaller venues – often they are only posted around the neighborhood. Cortado or Cafe con Leche and Croissant – every day! I love a good cup of coffee and the coffee in Barcelona is excellent. Many travelers I talk with agree that Europe has much better coffee than in USA or Canada. 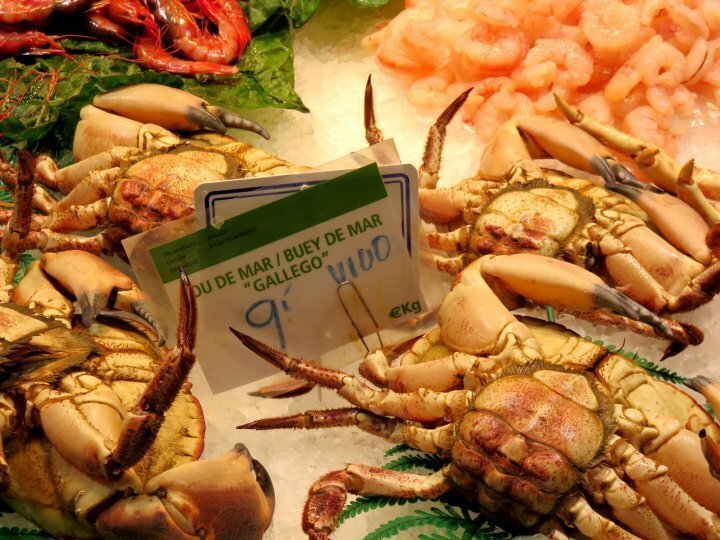 As for the markets, I visited both La Boqueria and Santa Catarina food markets. La Boqueria is super crowded with tourists in Las Ramblas neighborhood. For a more relaxed shopping experience, I recommend visiting the smaller markets. Santa Catarina in La Ribera neighborhood is wonderful. 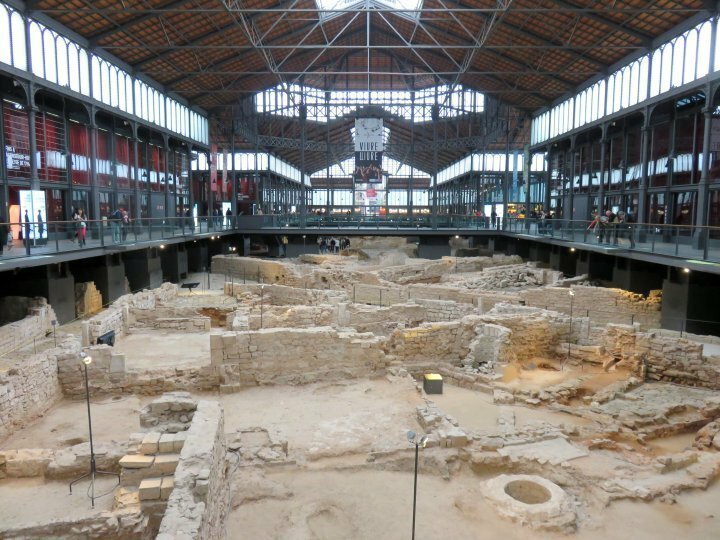 El Born Centre Cultural is where you can read about the history of the area. 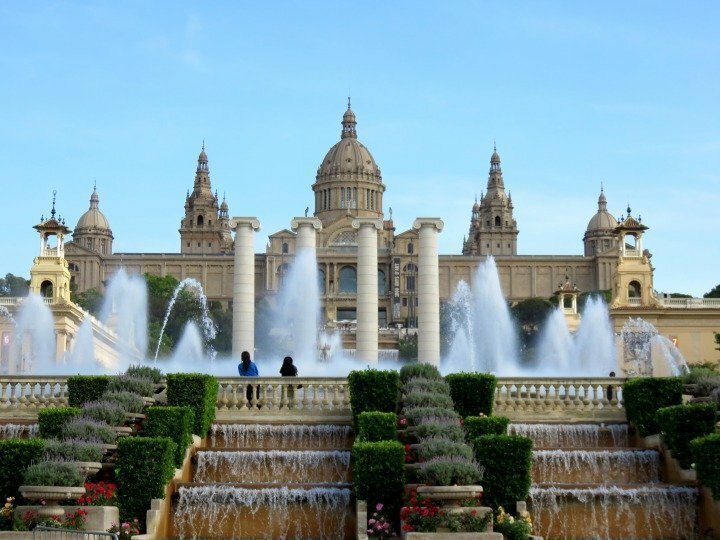 For the best experience my recommendation is to visit Montjuic park and museum during the day and visit at sunset to see the magnificent Font Montjuic (Magic Fountain) lit up along with a music. 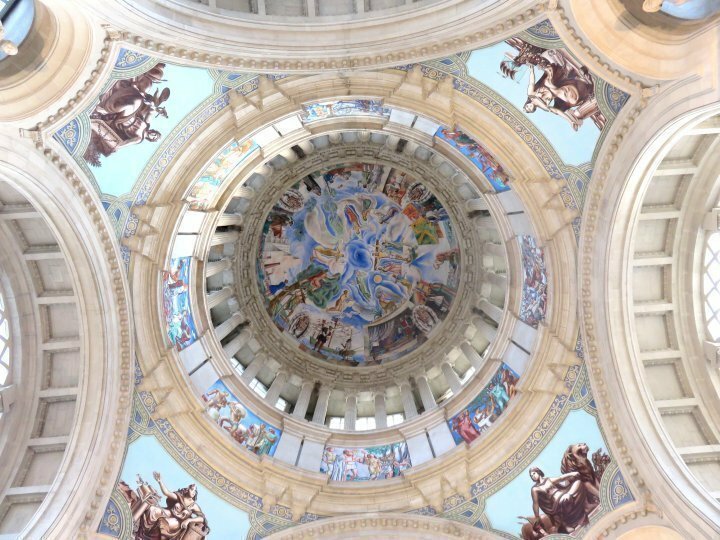 I loved my neighborhood in La Ribera district – there are so many places within walking distance you can spend several days exploring La Ribera and the surrounding districts on foot. Would you like some tips on how to prepare for solo travel? Read my post Planning and Preparing for my solo trip. I hope you love Barcelona as much as I did. Have fun!!! « Casa Vicens – Works of Antoni Gaudi – Public Tours Soon?